Reusable Shopping Bags That Clip On Your Cart! 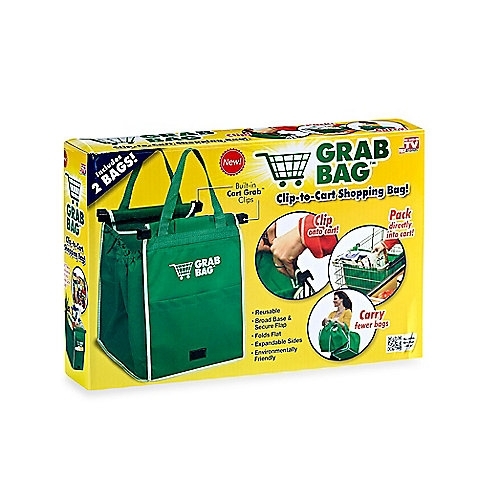 Grab Bag, as seen on TV, is the new handy reusable shopping bag to help make getting your groceries from the store and into your car super easy. Grab Bag comes with a set of 2 shopping bags that clip right onto your shopping cart to fill as you shop. Un-clip when you get to your car and load your groceries right in. No more flimsy bags, the As Seen on TV Grab Bags are sturdy and stable. Each Grab Bag holds up to 40 lbs. Each bag holds up to 40 lbs.